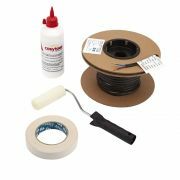 The Cosytoes 41m electric underfloor heating loose cable is a great option for irregular and awkward shaped floor areas. 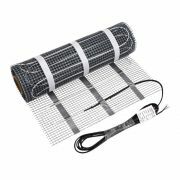 Producing 1535 BTUs per hour, this loose cable will create a luxuriously warm floor in no time so you won't have to dread stepping on to freezing cold tiles. Suitable for wetrooms, the loose cable is only 3mm thick, and is simply adhered to the floor with the supplied fixing tape.